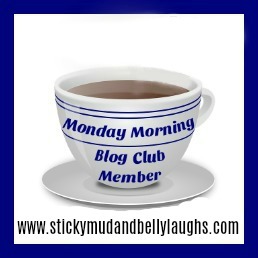 The kids are at that age at last where we can all sit down as a family and play a game. I have so many great memories of playing board games as a child. I want my own children to have those memories too. A cupboard full of games to choose from is a must. 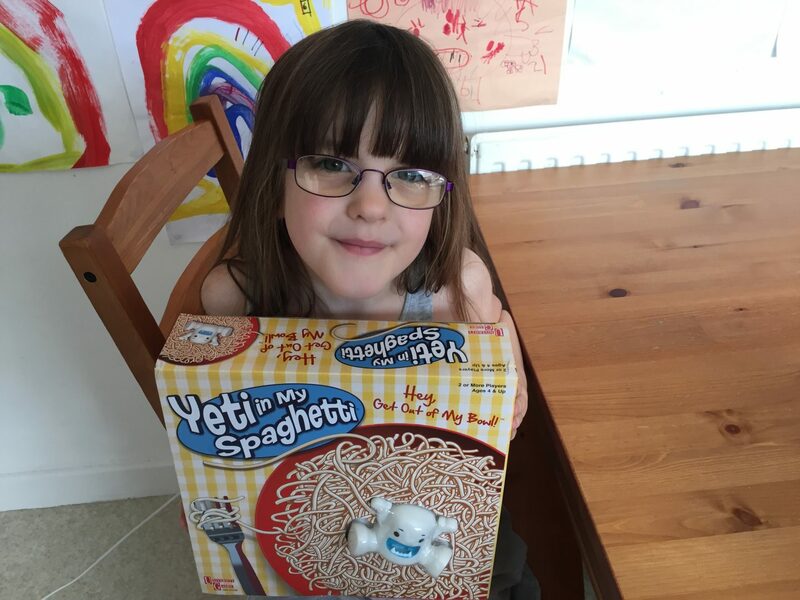 When Yeti In My Spaghetti arrived for us to review the kids were delighted. 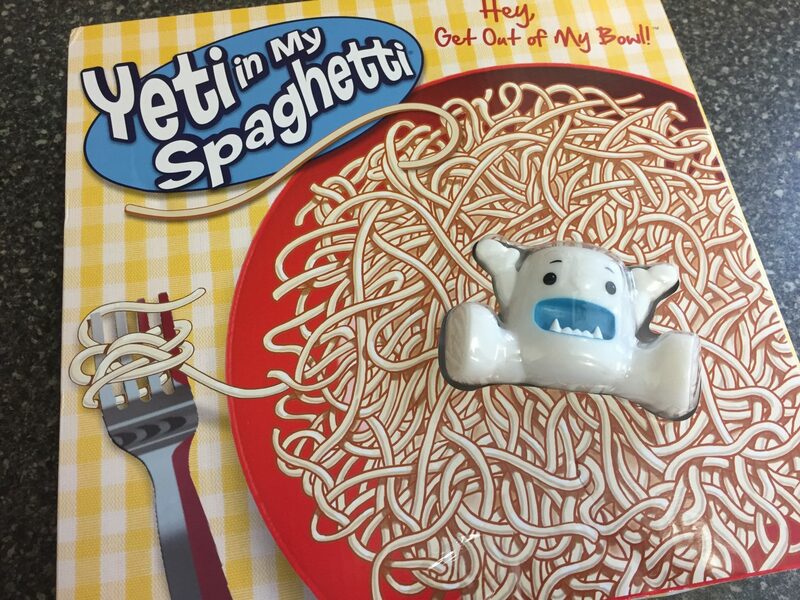 Yeti In My Spaghetti is a fun new game from University Games. 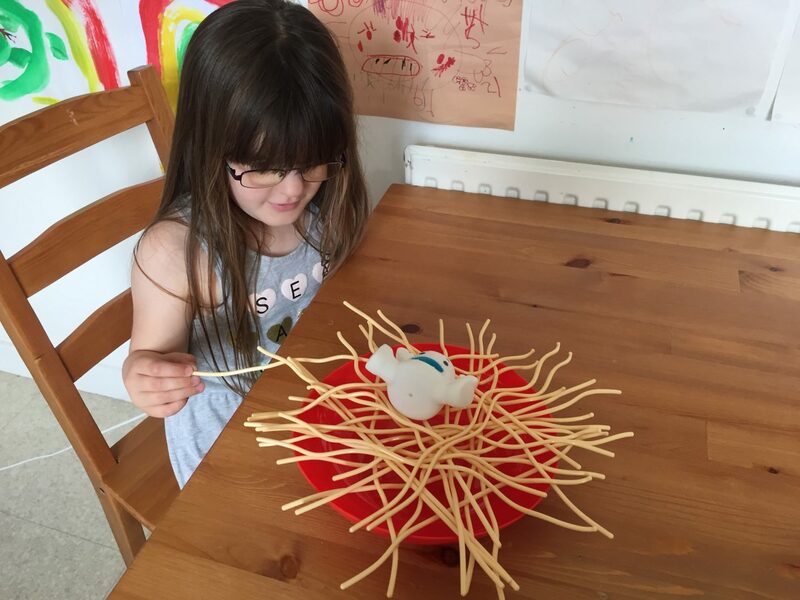 The aim of the game is to remove the spaghetti without the yeti falling into the bowl. 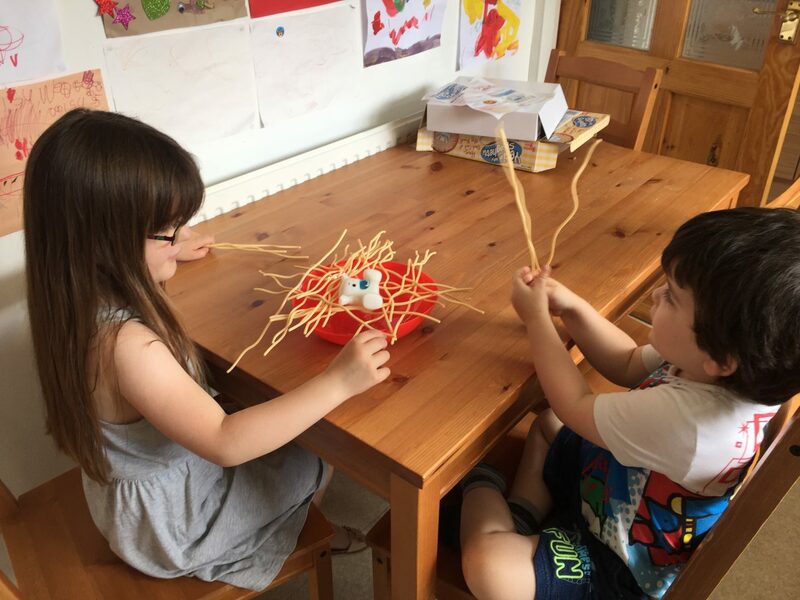 The game is suitable for ages 4 up and is designed for 2 or more players. Daisy and Jake were both really excited to get the game started. I like that the game is easy enough for them to set up themselves. 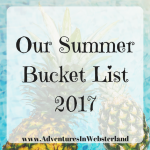 There is a red bowl, a pack of spaghetti and of course the yeti. The kids took it turns to remove a strand of spaghetti. Neither of them wanted to be the one to make the yeti fall. They needed very little assistance from me although I did supervise. 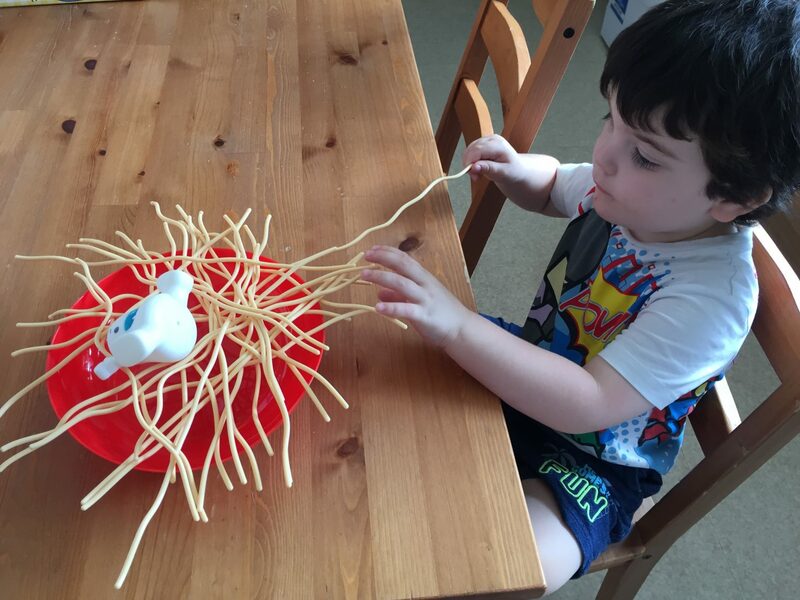 There were a few squabbles over who was going to pull which spaghetti out. The yeti eventually fell into the bowl below much to the delight of the kids. We gathered up the spaghetti and set the game up once more for another round. I asked the kids what their favourite thing about the game was. 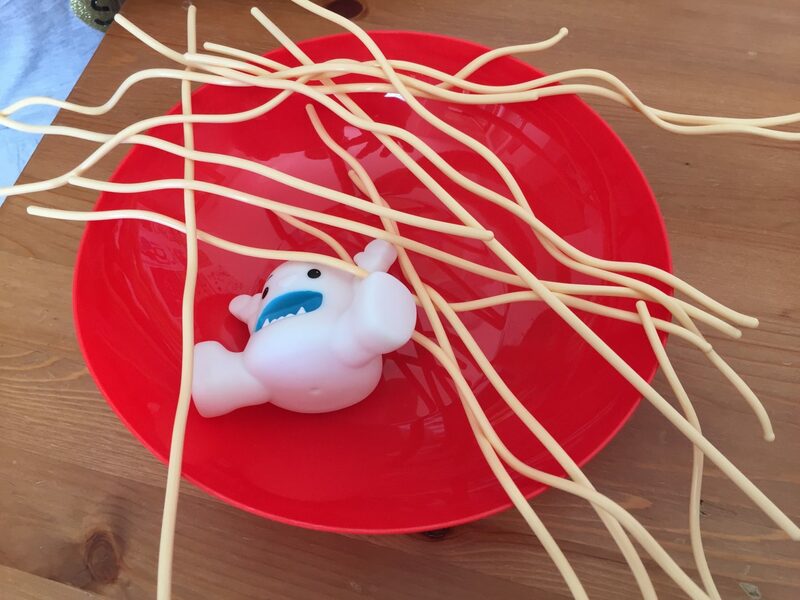 Jake said he liked the yeti falling into the bowl and daisy said she loved pulling out the spaghetti. I think it’s safe to say that we can add this to our pile of favourite games to play. Disclosure: We received the game free for the purpose of this review. All opinions are my own.